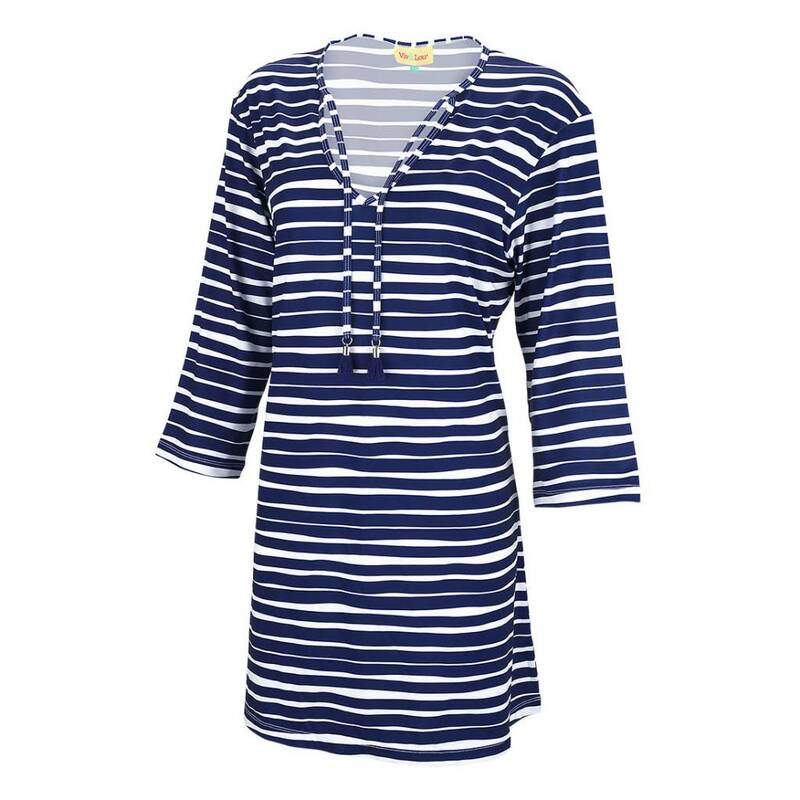 Beach cover up in Tidelines print features navy blue & white stripes. 3/4 sleeves and decorative tassel ties. 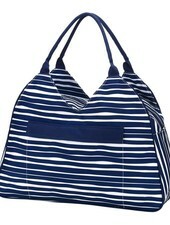 Matching beach bag available separately. 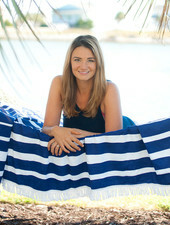 Square shaped sun blanket is oversized and perfect for the beach, park or any summer picnic. Fun fringe trim. 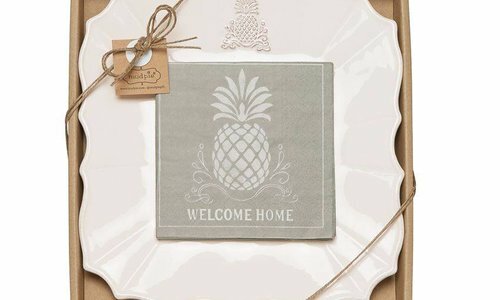 Make it yours with a name or monogram. 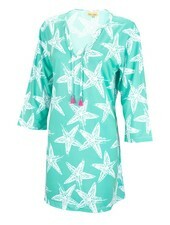 Sea Star beach cover up features white star fish print on seafoam background. 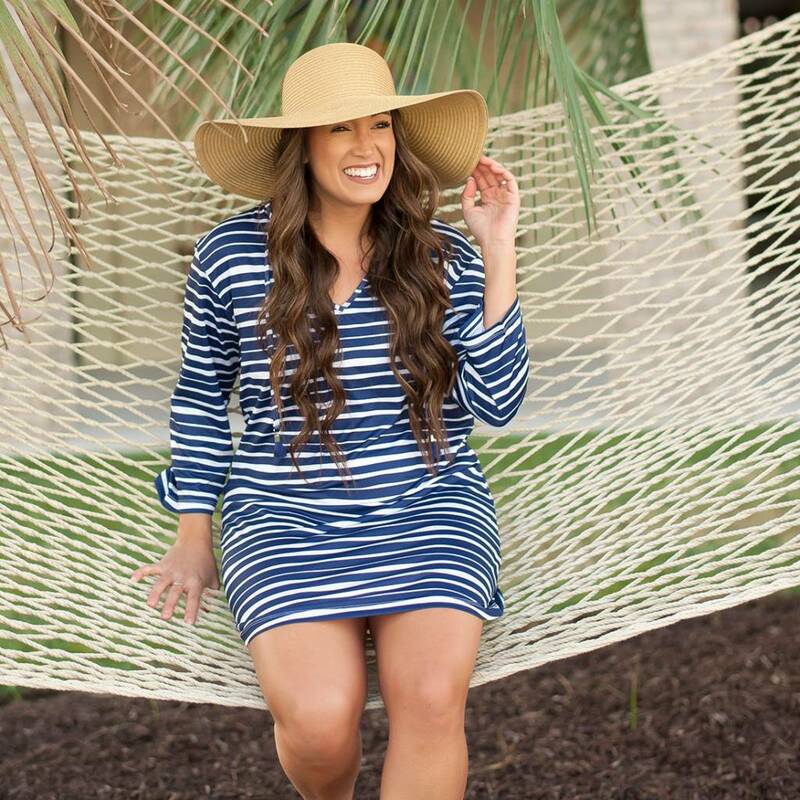 Features 3/4 sleeves and decorative tassel ties. Matching beach bag, zip pouch & cooler bag available separately. 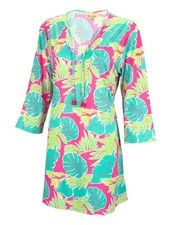 Beach cover up in Totally Tropics print features bright green & mint leaf pattern on a hot pink background.. 3/4 sleeves and decorative tassel ties. 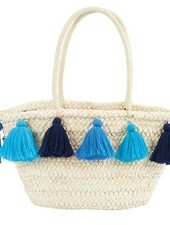 Matching beach bag available separately. 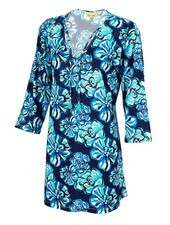 Maliblue beach cover up features a floral print in shades of blue. 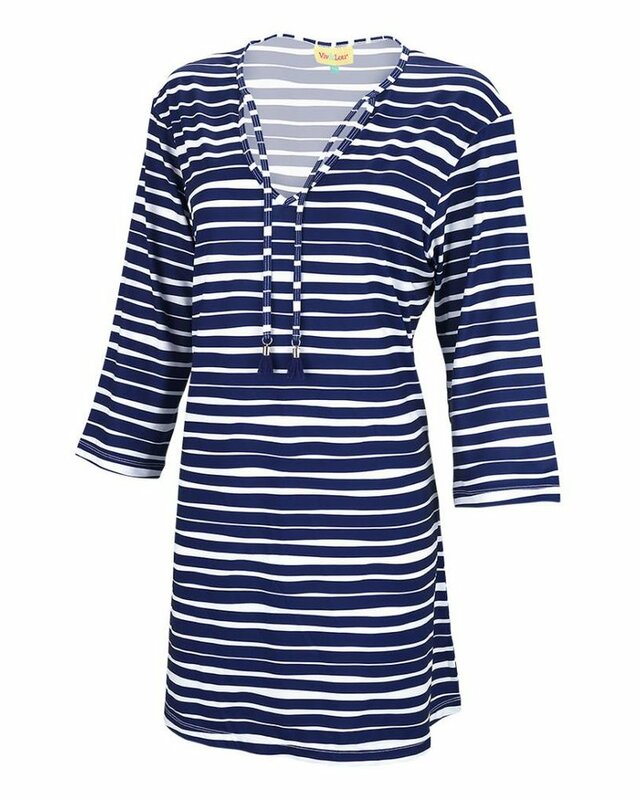 Features 3/4 sleeves and decorative tassel ties. 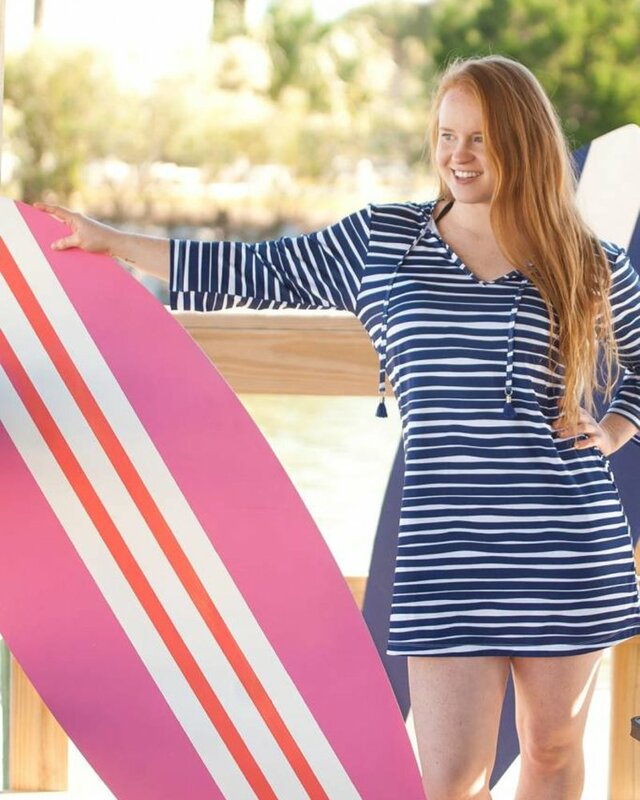 Matching beach bag available separately. 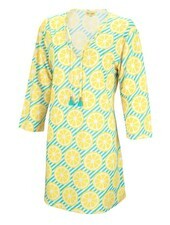 Beach cover up features bright yellow lemon slices on a mint background. 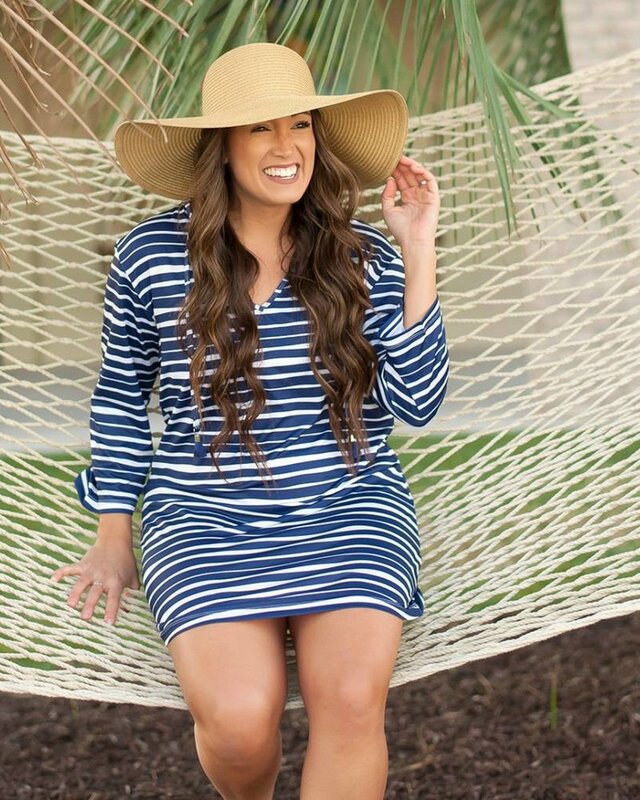 Features 3/4 sleeves and decorative tassel ties. 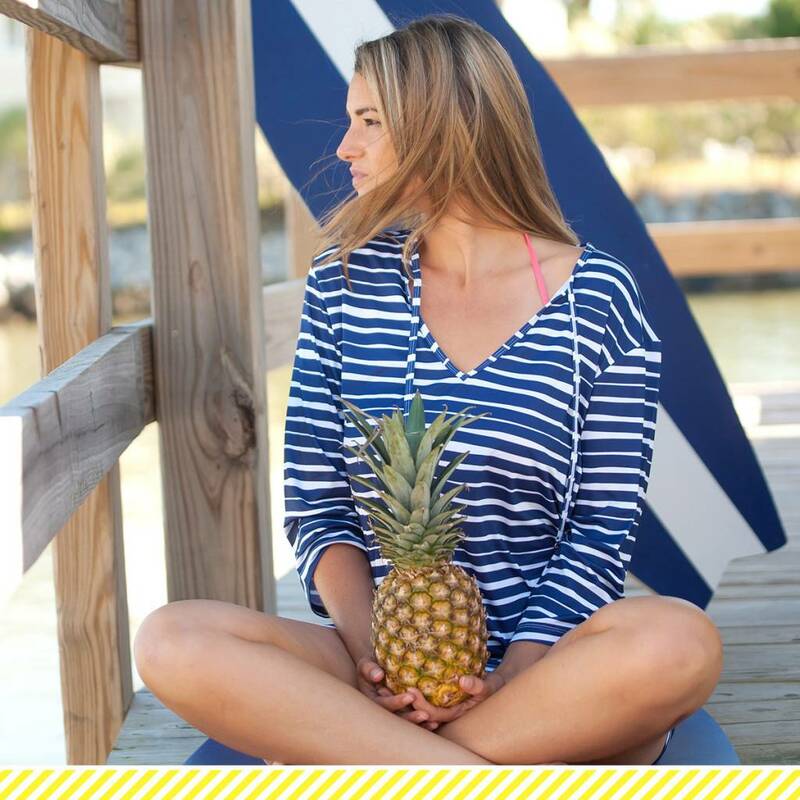 Matching beach bag available separately. Insulated cooler bag with sealed interior PEVA lining. 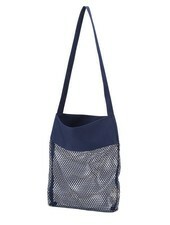 Has a front pocket with velcro flap closure, dual zip around closure and easy-to-carry handles. 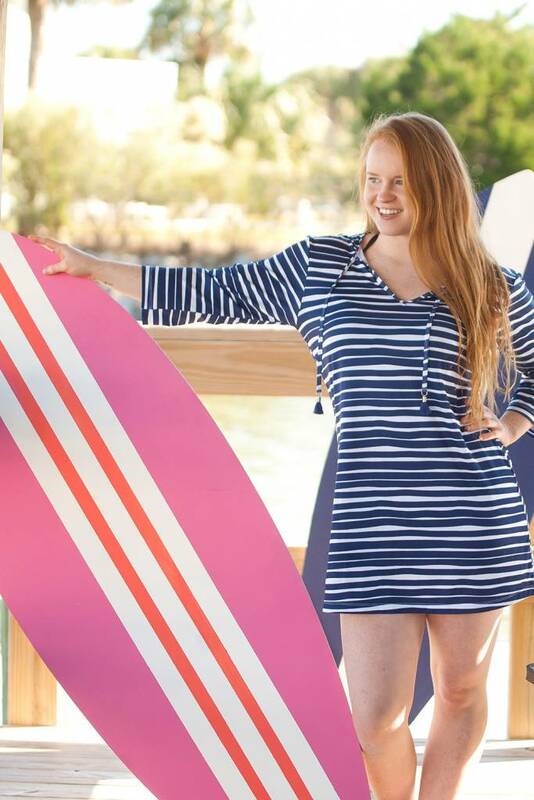 Navy blue & white stripes with navy trim. 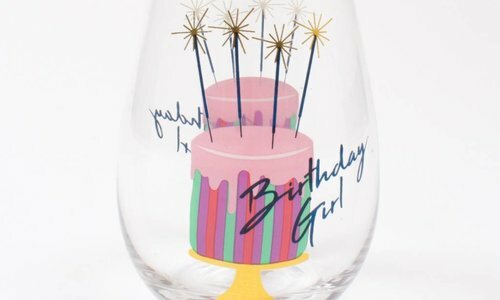 Personalization included. 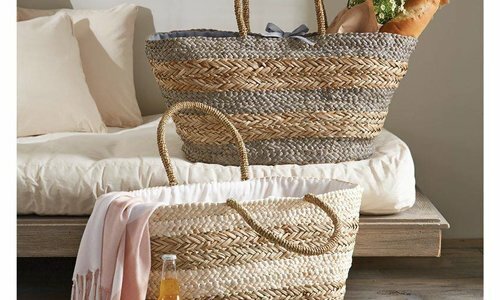 Woven cornhusk beach tote features hanging chunky yarn tassels. 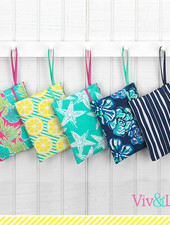 Zip pouch wristlet in fun beach print with zipper closure and exterior pocket perfect for a monogram! Interior PEVA lining. 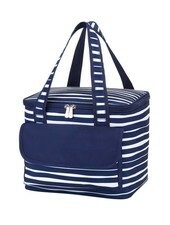 Coordinating beach bag, cooler & sand towel available separately.